He was the last of the Old Testament prophets and the first of the New. He was the first to proclaim the news that Jesus was the Messiah, the Lamb of God. 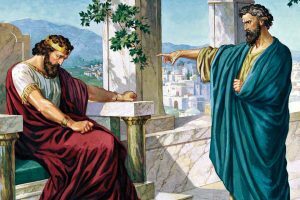 He was 100% from the lineage of Aaron the High Priest. He is the prophesied “Elijah who is to come” in the last verses of the prophets in the Old Testament (Malachi 4:5-6). Where was he born and what do we know about him? He was born in Ein Kerem west of Jerusalem. Prior to birth he was sanctified in the womb by the Holy Spirit when the Blessed Virgin Mary arrived for the Visitation. 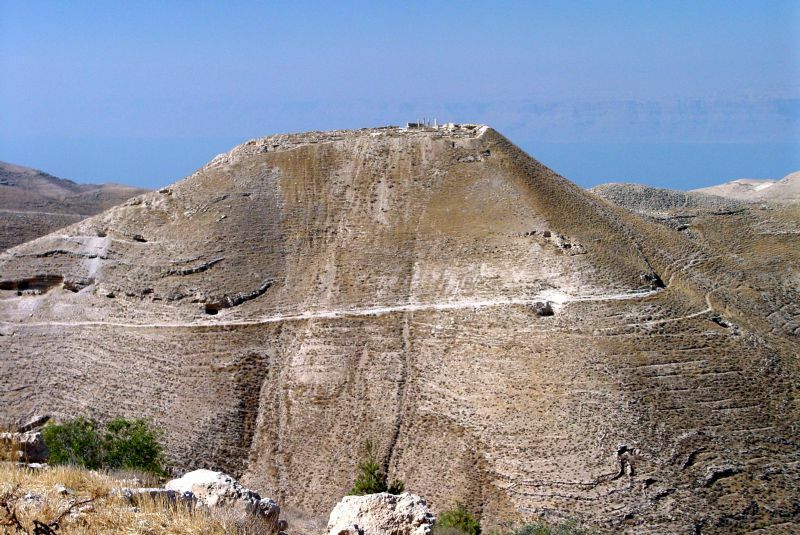 He later left for the wilderness where he probably associated with the Essenes at Qumran. Jesus probably met him in the Wilderness. He ate locusts and wild honey so he was a manly man! What sources do we have outside the Bible? 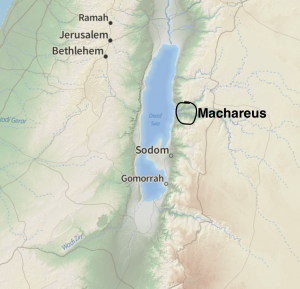 The Jewish historian Josephus tells us about John, especially his death which took place in Herod’s Fortress of Machareus on the east side of the Dead Sea in the modern country of Jordan. It is from Josephus that we learn the name of Herodias’ daughter – Salome. 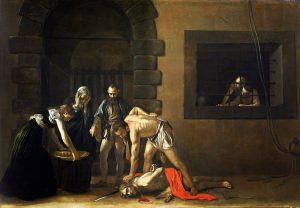 Where are the bones of John the Baptist today? 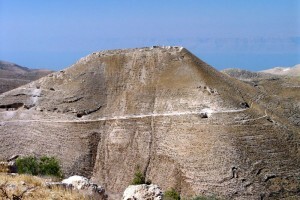 They were placed in a Church in Sebaste in Samaria. in the late 300’s Emperor Julian the Apostate tried to descrate the bone but clever monks whisked them away to the Monastery of St. Macarius in the deserts of western Egypt. 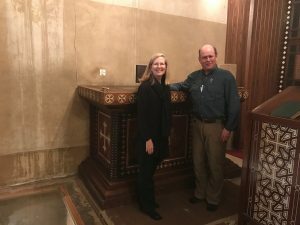 Here is a picture of Janet and I at that location when we filmed our documentary Elijah and Elisha. To learn more about John, see my DVD Jesus, the Word Became Flesh and our latest DVD Elijah and Elisha. We go to the very site he was beheaded in the first and the to site of his bones in the second. All filmed on location. Click here. 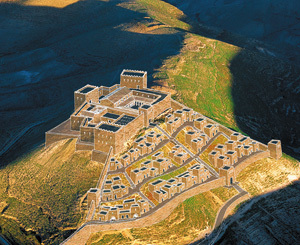 Below: The remains of Herod’s Fortress of Machaerus where John was beheaded and what it looked like at the time of Christ. Also Janet and I at the bones of John the Baptist. Previous post: Really? The Pope has more important things to do ?!? !